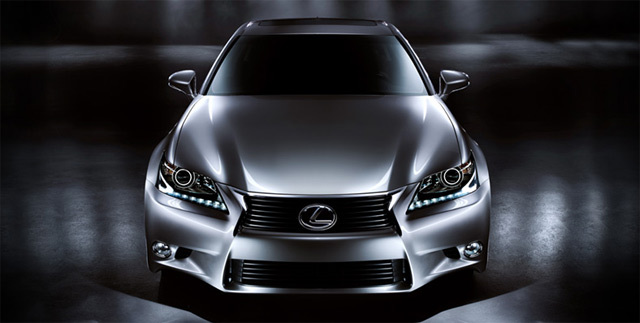 U.S. pricing for the 2013 Lexus GS 350 has been announced, and it’s pretty outstanding — despite being a brand new model with a host of new standard features, the base retail price for the rear-wheel drive GS 350 will not increase compared to the outgoing model, and will remain at $46,900. The base all-wheel drive model will see a slight bump, up $600 to $49,450. The GS 350 also will be available with three different packages: the Premium package for $1,400, the Luxury package for $5,750, and the F SPORT package for $5,690. The only other announced option is the navigation system and its 12.3″ information display, which can be equipped with any package for $1,735. The pricing for the GS 450h has yet to be announced. For all the details, you can check out the Lexus press release, or reader over the full list of the standard features, plus breakdowns of the Premium, Luxury and F SPORT packages, after the jump. A new multimedia system (with available next-generation Lexus Enform) and color TFT multi-information display. In addition, rear-wheel drive models will be equipped with 19-inch staggered width wheels, Variable Gear Ratio Steering (VGRS) and new larger front brakes with high friction pads. Tek-savvy: so is this car is cheaper in the states as compared to the middle east?